Simply print and write your own labels. You can use them for book boxes and much more! 18 different labels to choose from, all pirate/mermaid themed. 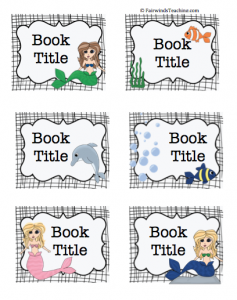 Check out pre-made book box labels too.